Black people have become so ridiculously simple minded, & easy to manipulate, that it became damned near a crying shame to NOT enslave Black people. Black people ignore facts & their inevitable conclusion, in preference to living in the land of make believe. Black people twist word definitions to suit our own purposes, instead of using words as they are -all in an effort to maintain our delusions. I now understand why Black people were enslaved by Arabs & Europeans. 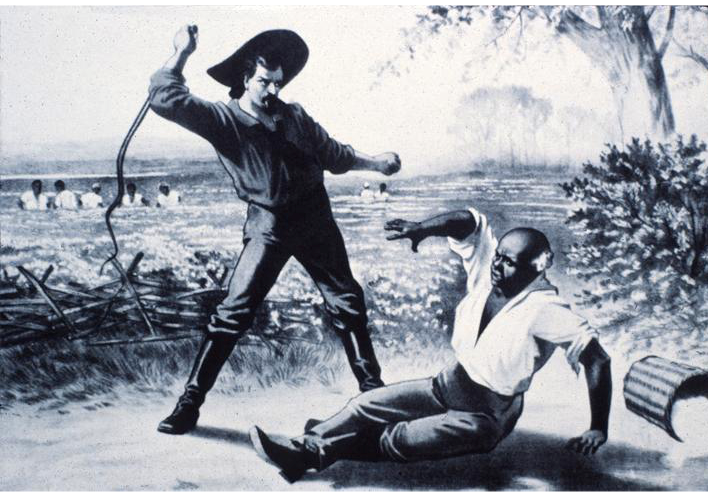 Slave being beaten by his white master as he stands over him with a whip about to strike the old man to enforce supremacy. As Black people we have allowed ourselves to become weak-minded fools & our current state is the inevitable outcome as Black people. And to this very day, there are those of us who love & worship our oppressors. Isn’t it ironic that the people we have come to love and worship are the same people who have enslaved and indoctrinated us?